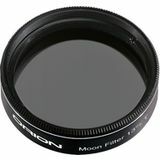 The Orion 2" 13% Transmission Telescope Moon Filter reduces the glare from the moon so you can see more detail and surface features. 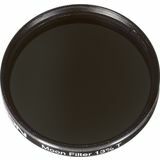 This filter is especially useful in large-aperture telescopes since the moon's brightness can be overwhelming. 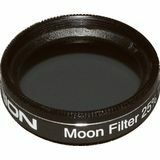 The Moon is a wonderful sight through a telescope, and the 1.25" Orion 25% transmission filter allows more lunar detail and surface features to be seen because it reduces the glare from the Moon. 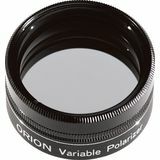 Especially useful for viewing crescent phases.